NEWINGTON, N.H. –SIG SAUER, Inc. is honored to announce the conclusion of the Second Annual SIG Relentless Warrior Championship. On Saturday, March 30, 2019, ninety cadets from the United States Air Force Academy, United States Naval Academy, United States Coast Guard Academy, United States Military Academy at West Point, Virginia Military Institute (VMI), Texas A&M, and the Merchant Marine Academy competed in the SIG Relentless Warrior Championship at the SIG SAUER Academy in Epping, New Hampshire. The course of fire consisted of seven mission stages that tested the marksmanship and leadership skills of our future military leaders. 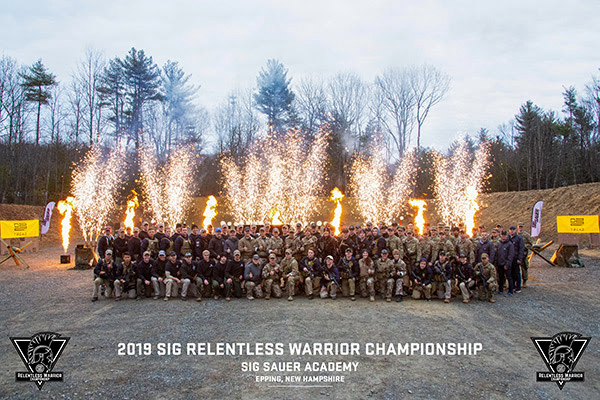 The U.S. Military Academy at West Point Combat Weapons Team earned the top honor of being named the 2019 SIG Relentless Warrior Champions.